A green light optimal speed advisory (GLOSA) system being trialled in the West Midlands has won a national ITS award. 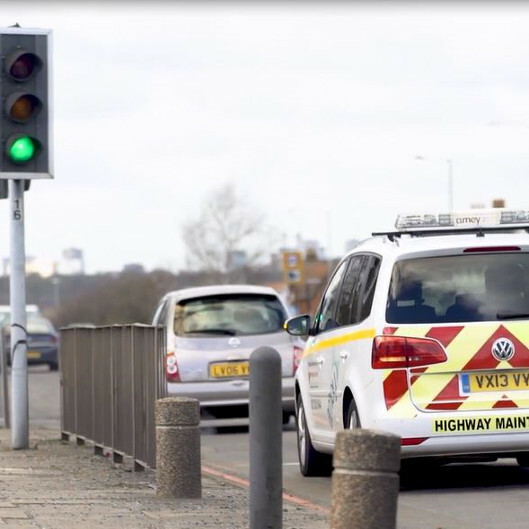 The system, which was installed and trialled on the A45 Coventry Road in Birmingham, relays impending traffic light changes to cars, allowing them to adjust their speed and avoid sharp braking between junctions. The project – a collaboration between Transport for West Midlands (TfWM), Amey Consulting, Birmingham City Council, and private sector app developers Eastpoint Software, IDT Ltd and SGTI – won the project of the year award at the ITS (UK) summit last week. The trial involved the technology being fitted to ten junctions and information sent to a smartphone held by passengers riding with a selected group of drivers, who were given the optimal speed when approaching the junction. Participants saw a 10% to 14% reduction in stop-starts over the 6km route, with their journey times cut by up to 7%. TfWM, part of the West Midlands Combined Authority (WMCA) said the technology could prove crucial for connected and autonomous vehicles (CAV) which are due to be tested in the West Midlands. It is looking to work with partners to see how GLOSA can be scaled up following the trial and rolled out further across the road network. With installation costs less than £1,000 per junction, TfWM said it could be cheaply and quickly expanded to other routes and the open source app could be easily adapted to in car information systems or sat nav devices in future. The system will now be refined with an expanded trial in 2019.